Last week, October 23 to be exact, marked the one year anniversary of my blog. I continue to enjoy sharing my food adventures. Though we eat well at my house, it would be unrealistic to think that every meal I make or recipe I try is tasty or interesting enough to share. Sometimes, I don’t have anything to write about because, I often forget to take pictures of dishes before we eat them, and then it seems boring to write about it without some illustration. This will be the blog’s 110th post, which included 3 guest posts: one each from my sister Jane, my husband Howard, and my friend Lauren Z (not to be confused with my friend Lauren L). The past year has been a fun ride, and I’m looking forward to another. Last night I made one of my favorites, Broccoli Cheddar Soup. I don’t even like broccoli all that much, but I love it in this soup. Maybe it’s the cheese. It’s creamy without being too rich. The soup is easy to put together and makes a great lunch. 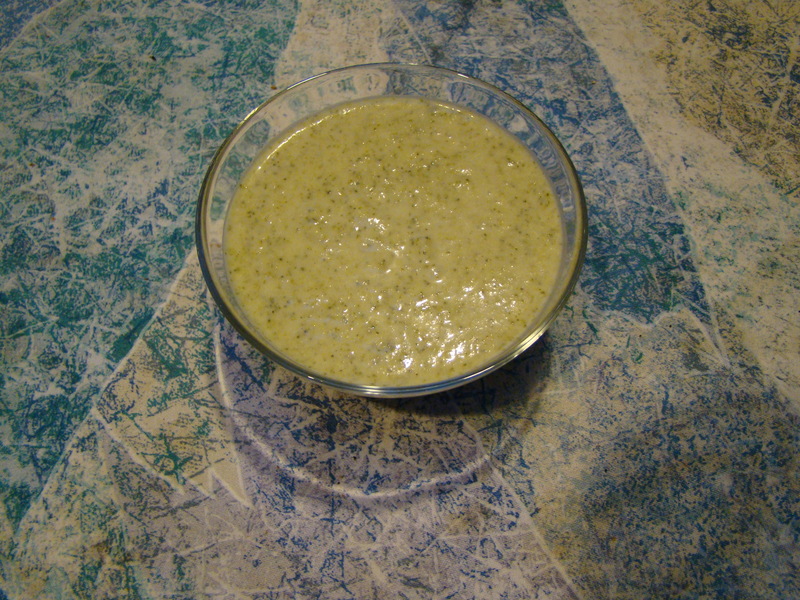 When I make pureed soups, I find the blender does a better job than the food processor. I’ve tried an immersion blender that you stick right into the pot. I love the idea, but it never seems to work for me. Melt the butter in a soup pot. Add the onion, and cook until it softens. Add the broccoli and stock, cover, and bring the stock to a boil. Reduce the heat, and simmer for about 10 minutes, until the broccoli is soft. Remove from heat. Add cream, cheese, salt, and pepper. Stir until cheese melts. Cool the soup to lukewarm, or at least, not scalding hot. Puree the soup in the blender. Reheat and serve. 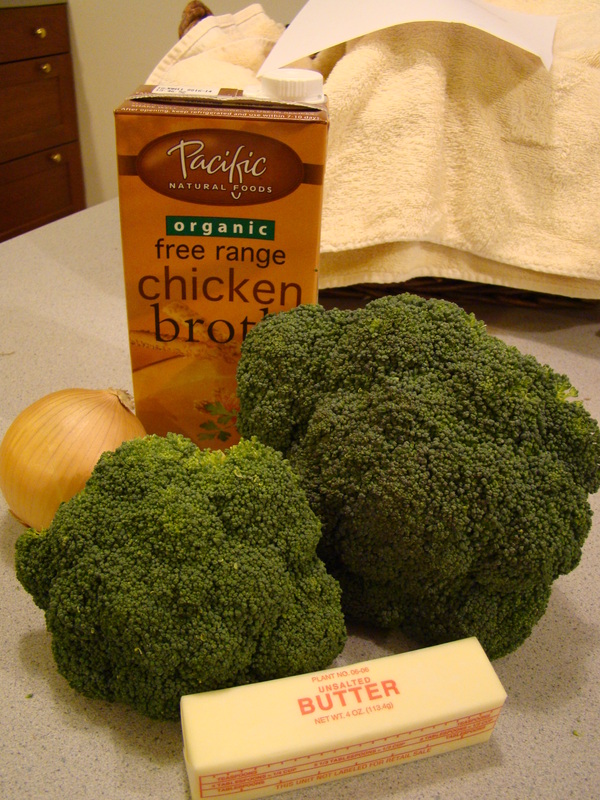 Posted on 2 November 2010, in General and tagged broccoli, Food, soup. Bookmark the permalink. 2 Comments. Betsy, Happy 1st year anniversary of Plateful! Your enthusiasm for the art of cooking is inspiring and has motivated me, a reluctant cook, to try some new things. Looking forward to Year Two!